Always be on the outlook for any letters or postcards written by your ancestors. Besides having a small piece by having their writings / thoughts, it can give you insight to them as a person. A good example was the recent find of a letter to Father Chrisman at the North Pole (Santa Claus) on December 2, 1898, by a five-year-old Marjorie from Eastbourne, England. She wrote to Santa asking for toy ducks and chickens, a canvas stocking, and a piece of ribbon and a ball for her cat, Kittykins. She closed the letter with “You will see an extra stocking hanging up this time, it is for Kittikins she would like a piece of ribbon and a ball in hers. With love and kisses from us both. Your loving Marjorie.” It was found in a book that had been donated to a thrift shop in England. Placing a letter in a book has been a common practice. 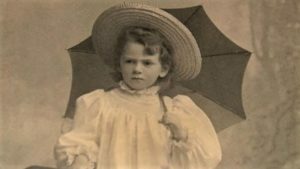 Using the information such as her given name and home address along with the year 1898 a good deal of information was learned about Marjorie. This can be true for you about an ancestor. For Marjorie Pennington, her father had died in 1893 (just after Marjorie’s birth) and her mother died in 1917. One year later, in 1918, Marjorie married Guy Collingwood, who was born in Calcutta, India. Guy was an officer (2nd lieutenant) in the British Army. The home Marjorie lived in 1898 and for years following was destroyed by a direct hit by a Germany bomb October 1940. She had long moved after her marriage. Marjorie died in June 1965. Marjorie’s grandchildren were located and they were so pleased about the letter being found. 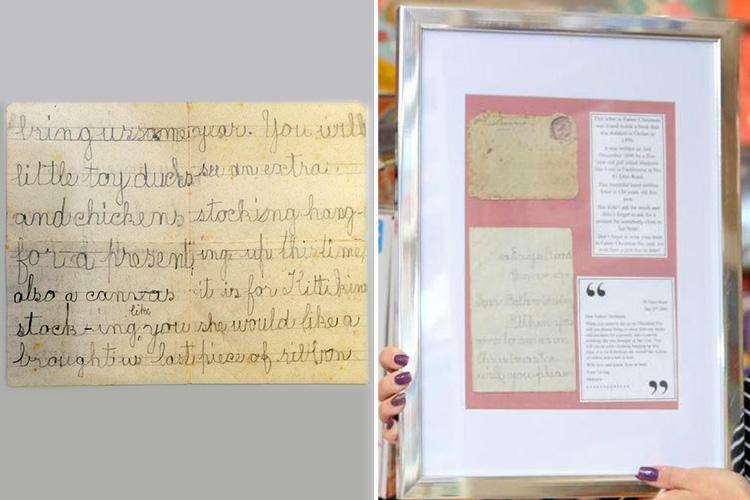 The letter is on display at Whirligig Toys shop in Canterbury, England. 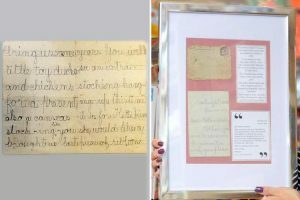 Check what is featured for auction or sale on eBay, could be a letter, postcard or journal by an ancestor. Photos: Marjorie Pennington as a young girl and the display at the toy shop with Marjorie’s letter of 1898.